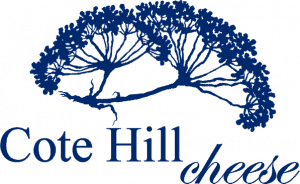 The morning milk at Cote Hill Farm is taken direct from the cows into the cheese production facility to be hand crafted into Cote Hill Blue, Cote Hill Yellow and Cote Hill Red. By using the milk directly from the cow to vat and not pasteurising allows the cheeses to develop their unique flavour. Named after the nickname for a person from Lincolnshire. The Cote Hill Yellow belly is matured in its yellow wax which retains the moisture developing a luscious, buttery texture and subtle tang.